2014 NCS made aware that Wellington Pub Company (WPC) seek to change the Academy from a pub to an art gallery. NCS applies to RBKC for an emergency Article 4 direction to prevent change of status without first applying for planning permission. NCS apply for ACV (Asset of Community Value) status for the Academy. Nearly 100 emails and letters of support from NCS members are received by RBKC to support the application. 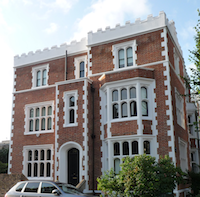 2015 WPC appeal against ACV status for the first and second floor of 57 Princedale Road. Members again write to the Council in support of ACV status for Academy for all 4 floors. WPB appeal to revoke ACV status on 57 Princedale Road’s first and second floor and is given a date to be heard in Court. 2015 September NCS goes to Court (with RBKC). In a landmark case the Tribunal rejects WPC’s Appeal. ACV status remains on the whole building in recognition that the upper floors are integral to the building’s status as a community pub. 2016 August-September The lease of the Academy expires. It is not renewed. WPC closes the Academy. The terms of the ACV provide a six months moratorium for a local group or charity to raise funds to buy 57 Princedale Road. September Saturday Guardian features an article on the Academy to illustrate the changing ‘face’ of London. NCS Committee works up to the deadline for triggering the moratorium to find a business partner to buy 57 Princedale Road, to invest in improvements and to run it as a community pub. This was not possible to achieve. 2016 – 2017 November – April Kensington Society triggers the moratorium which expired on 7th April. 2017 May – Arbitrage Group hold a public exhibition outside the pub to explain their initial plans to re-develop the pub and the adjacent land. 2017 May – December NCS, Clarendon Cross RA and the Kensington Society hold regular consultations with Arbitrage Group and its consultants. Our chief concern is to secure a viable pub with a long term future within the ACV’s boundary. 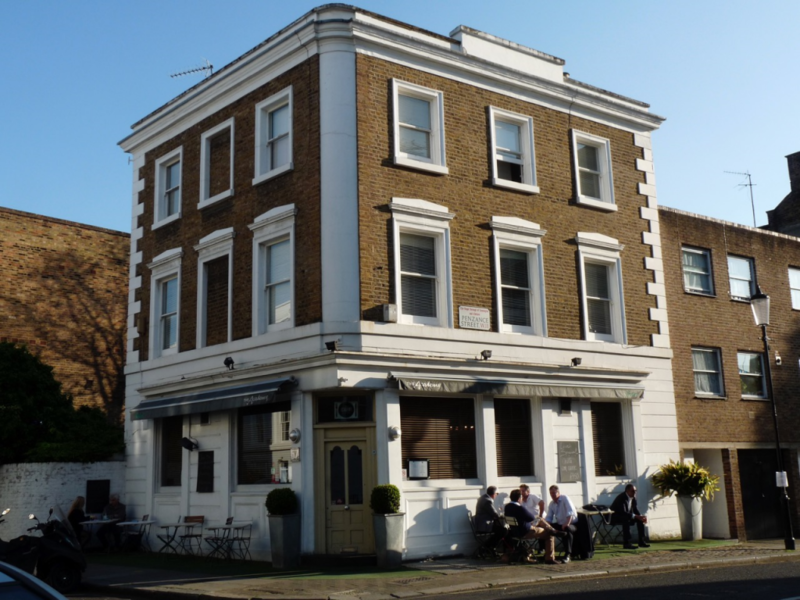 2017 – November NCS, CCRA and Kensington Society object to Arbitrage Group’s (Academy Holland Park Ltd) application to build 4 flats which ignore the ACV status of the pub’s 2nd floor and reduce the ground floor trading space. Over 40 objections are lodged. NCS sticks to its objective for a design that better reflects the wishes & needs of the community. 2017 – December AHP withdraws its first planning application and submits its second one for the redevelopment of the pub within its ACV boundary and a house instead of 4 flats. This application has been rejected at the planning stage and the Council has requested certain adjustments. 2018 January – We await developments. Efforts to find an investor are still continuing because the Academy has pints of potential. Please contact NCS if you have contacts who would be interested in investing in Norland Conservation Area’s only community pub. I only came across this today so I’m hoping that although a year has passed since this blog was updated that the issue is still to be resolved as a pub. I thought I might add some history about The Academy of which you may be unaware. From the end of the 70’s to the mid 90’s I worked for Mark Knopfler (of Dire Straits fame, I was his guitar tech) who lived in the Holland Park area for most of that time. He also had a mews house close by that was used for songwriting and recording for many years. One such project conceived and executed there was the album by The Notting Hillbillies. The album started out as a project for Mark to help two old friends record some music. This was about 1986. Steve Philips and Brendan Croker came down from Leeds and we all gathered at the house each day to record. Each evening we would repair to The Academy for a few (!) drinks. Very occasionally we even had food! We went to the Academy almost every night during the whole period of many months while recording the album. It was one of the most enjoyable times I’ve ever had and I know the guys would agree. As for the name of the album, this came about as one night Mark and I were making our way to the Academy a little later than the others. When we got there we looked in the window but were unable to see our friends. Mark said ‘Looks like they’re missing.” I replied ‘Yes. Missing… Presumed Having A Good Time’. Which became the title of the album! So as you can probably tell we have a deep fondness for the Academy, it was an integral part of not only the making of that record but of many, many other of Mark’s recordings and it would be very sad to see it fall into the hands of some rapacious developer. I myself supported the saving of two other pubs in Chelsea (near where I used to live), The Cross Keys and The Phene. I know that Mark added his name to those too. Mark no longer lives in Holland Park and I doubt he knows about the position of the Academy. I’ll contact him and let him know the story. But PLEASE I cannot guarantee he can or will take any kind of action, although I can assure you he is a strong supporter of British pubs! I hope this is of interest and maybe some help. p.s. The landlord at the time was Darko, can’t remember his surname. Very nice chap. If he’s still around I’m sure he’ll remember us!